The U.S. Supreme Court agreed to hear the challenges of seven religious non-profits against the Patient Protection and Affordable Care Act (ACA) (P.L. 111-148) contraceptive mandate. The challenges seek a decision from the Supreme Court overturning the ACA requirement that non-profit groups take action to opt out of the mandate, allowing them to benefit from the blanket exclusion granted to churches and other religious institutions. Contraceptive mandate before the Supreme Court. This will mark the second time in three years that the contraceptive mandate has come before the Supreme Court. In June 2014, the Court held in Burwell v. Hobby Lobby Stores, Inc. that HHS regulations requiring employer-sponsored health plans to include FDA-approved contraceptives among the preventive services covered without cost sharing could not be applied to for-profit corporations with religious objections to some of the contraceptive methods. 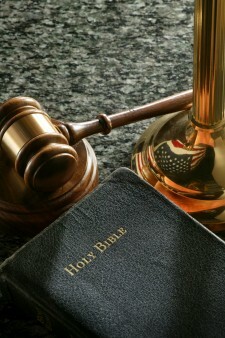 The Court reasoned that the regulations violate the Religious Freedom Restoration Act (RFRA) (42 U.S.C. § 2000bb), which requires federal government requirements substantially burdening religious freedom to serve a compelling interest and be the least restrictive means of furthering that interest. Non-profits object to accommodation process. The non-profit organizations in this challenge seek a ruling that would allow them to be exempt from the requirement to provide objectionable contraceptive coverage without having to undertake the accommodation process, which requires the filing of additional paperwork stating the organizations’ objection to the provision of contraceptives. The accommodation itself, the organizations argue, is a substantial burden on their religious exercise. While several of these cases were consolidated at the appellate court level, all seven filed separate petitions for writ of certiorari. The Court will rule on whether the mandate and the accommodation violate RFRA, but refused specifically to hear claims under RFRA and the First Amendment that the government discriminated among those allowed an exemption and those not. 0 Response to "Supreme Court Will Challenge To Contraceptive Mandate"